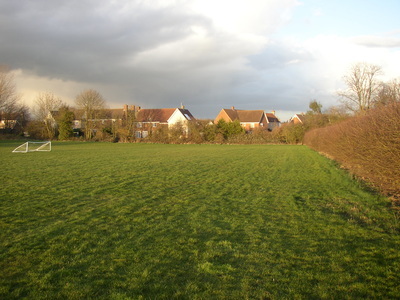 The Recreation Ground was provided for the village as part of the planning consent for Fox Green. Perhaps it made up for the fact that Clarendale was built on the former cricket ground thirty years before? 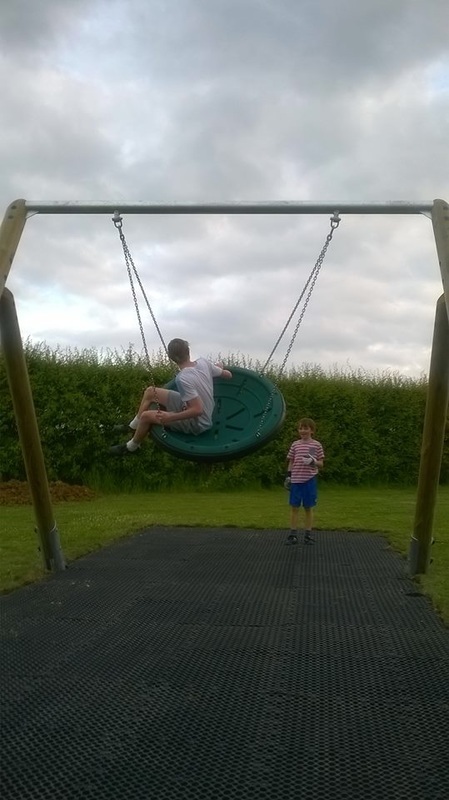 It is used mainly for dog walking and playing. 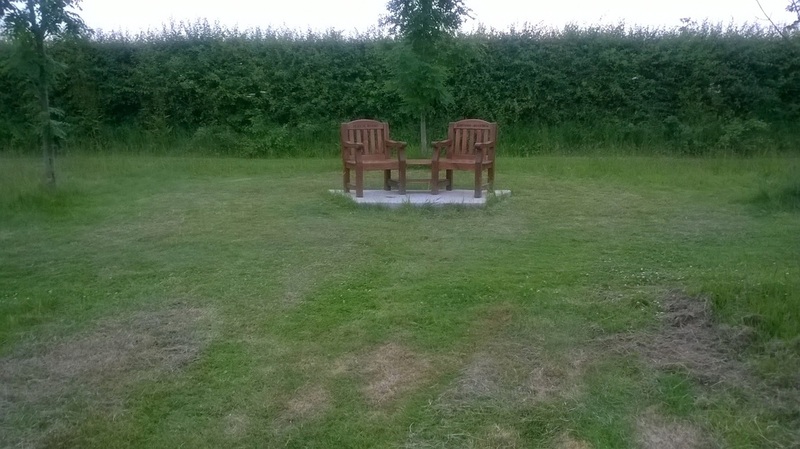 The annual bonfire & fireworks used to take place here, but this has moved to Bradley Hall. 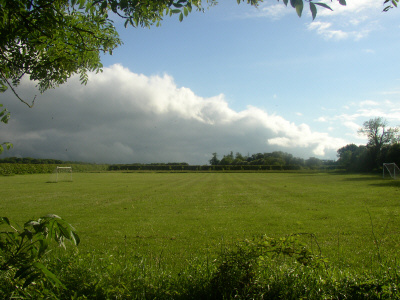 Two football nets are provided by the Parish Council. A seat was installed and a grove of trees was planted in 2005 at the far (west) end of the field. 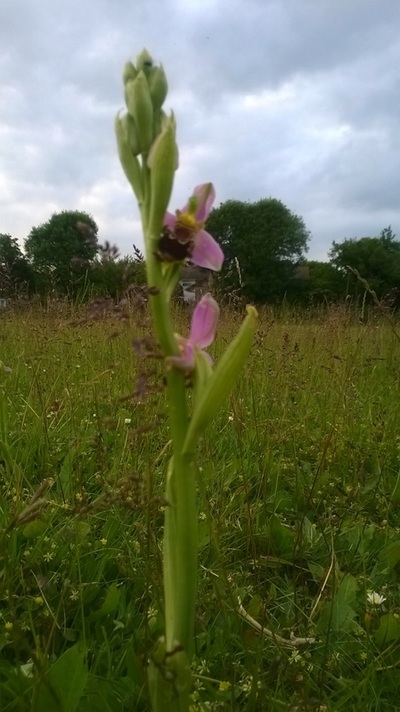 In 2010 some play equipment was added and since then there have been some more seats added, a willow sculpture planted and some areas left to grow wild, to encourage bee orchids. The Rec Ground is in the private ownership of the Ryder family/ Great Bradley Estates Ltd. 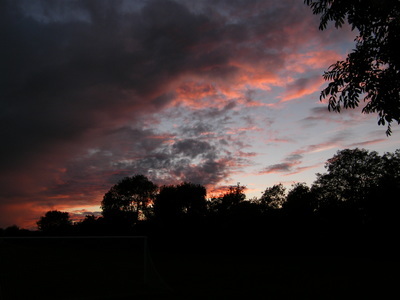 The owners are obliged to make it available for public recreation and cut the grass a certain number of times a year. The Parish Council helps pays for grass cutting beyond this minimum amount in order to keep the Rec Ground usable.There is a restriction preventing the erection of "permanent structures" on the Rec Ground. This is normally taken to mean a building with walls and a roof. 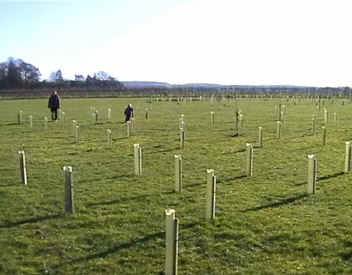 The Great Bradley Grove was planted in January 2005. 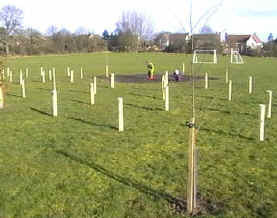 It is a plantation of native trees at the far (western) end of the Recreation Ground. 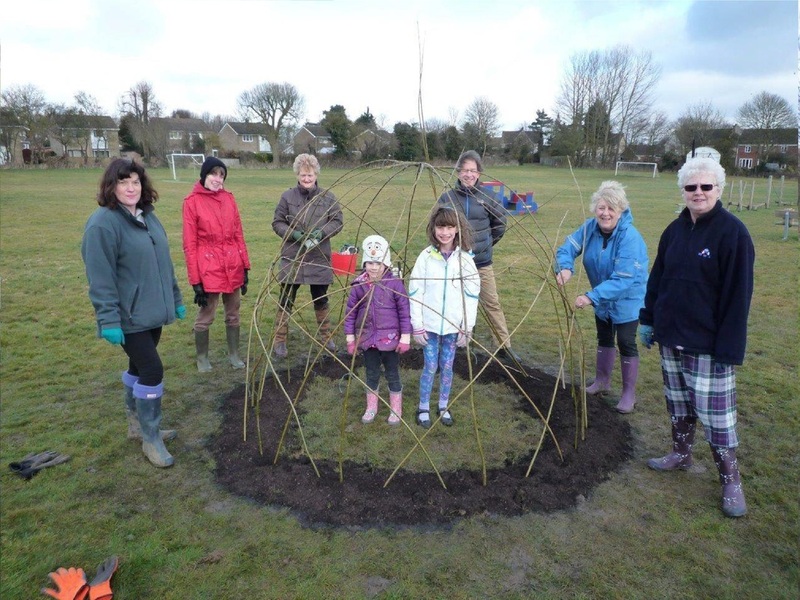 The Stour Valley Trust was consulted on the appropriateness of species to be included and about 225 small trees (or whips) and 25 larger saplings were planted out. 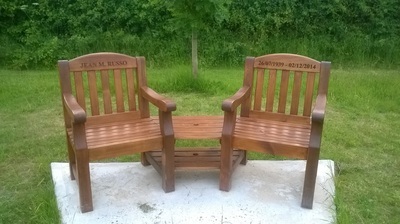 It was first raised as a project to commemorate the Millennium. 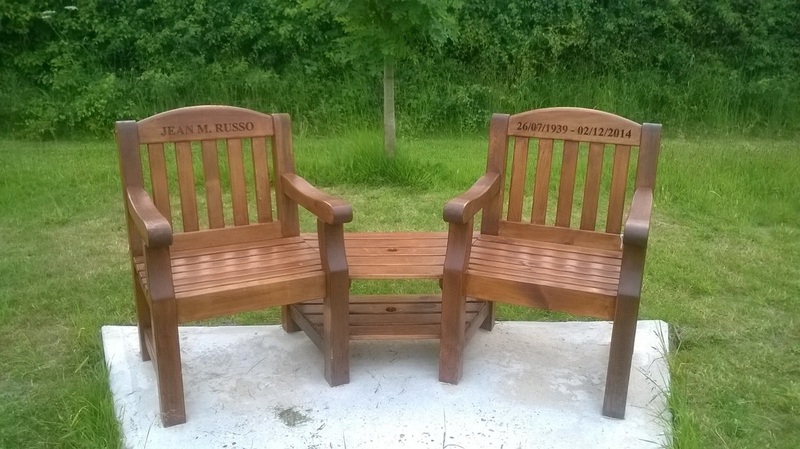 The cost has been funded by the Parish Council and the Ryder Estate. 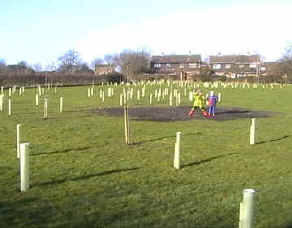 Sue Sylvester-Bradley created the design and the planting was completed by Rod Pass from the neighbouring village of Thurlow and his team, Gloria and Tony. 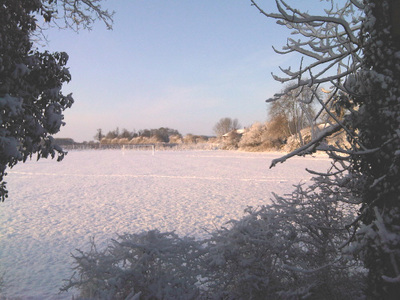 It took most of the day on a rather damp and windy January 17th 2005 (Click here to read about Rod's work as Head Forester on the Thurlow Estate). The term 'grove' was chosen because the 1:250 000 map showed a great many small pockets of woodland in the area being called grove, rather than say copse (Click here for the map). The dictionary says the term grove can be a woodland with a path through it for walking. 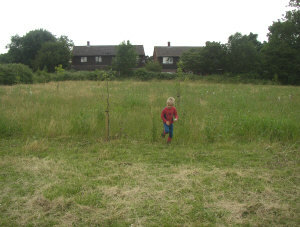 This grove has certainly been designed to allow access through it for the local residents to enjoy in a few years time. Acer campestre (Field Maple), Cornus sanguinea (Dogwood), Corylus avellana (Hazel), Crataegus monogyna (Hawthorn), Euonymus europaeus (Spindle), Ilex aquifolium (Holly), Malus sylvestris (Crab Apple), Rhamnus cartharticus (Buckthorn), Salix caprea (Goat Willow), Taxus baccata (Yew), Viburnum lantana (Wayfaring Tree) and Viburnum opulus (Guelder Rose). 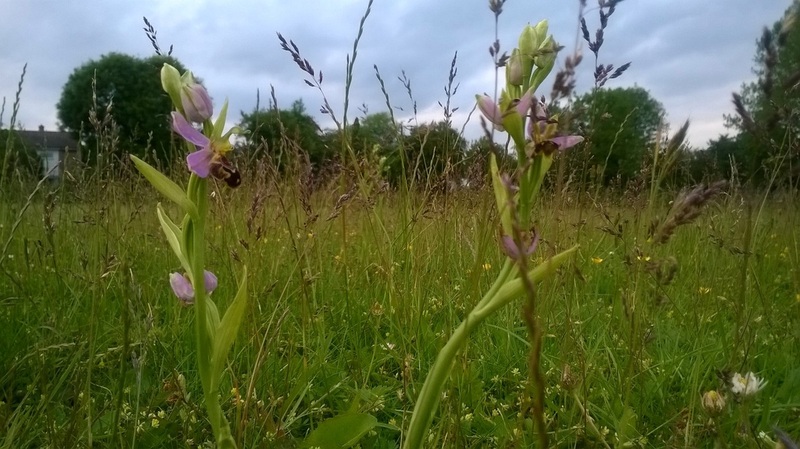 We hope, as time goes on, to introduce further plants but intend that these will also be native species in keeping with natural woodland. So, for instance, just one specie of aconite or snowdrop and proper English bluebells, not the Spanish ones that are often offered today. 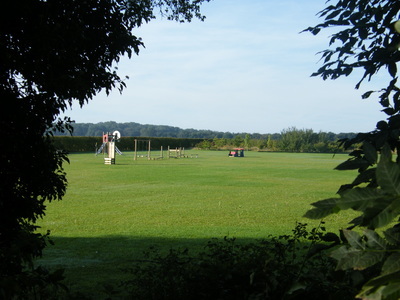 There is a wide curving path through the grove which will be kept mown so you can enjoy a walk between the trees as they grow. Do go and see the new plants but take care especially with dogs, toddlers and runaway balls, the little plants and their shelters (to protect them from the elements and from being eaten by deer and rabbits) can easily be knocked over or uprooted. 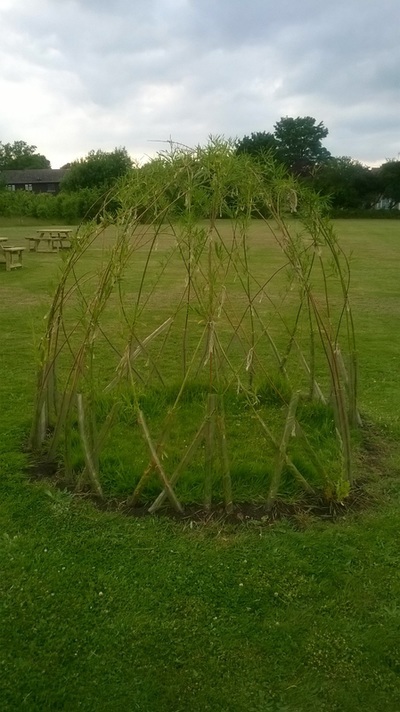 - A living willow sculpture was added in 2015. This is in the form of a cave or den that small people can enter (or big ones if they crawl). - Each year, some patches of the main field are left uncut so that bee orchids can flourish. One is dedicated to Stephen Ryder, formerly of Gt. Bradley Hall great supporter of development in the village for the benefit of residents. 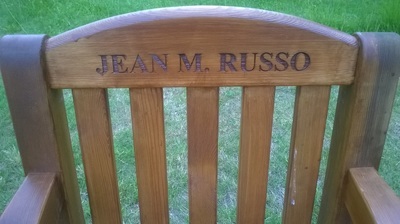 The other is to Jean Russo. 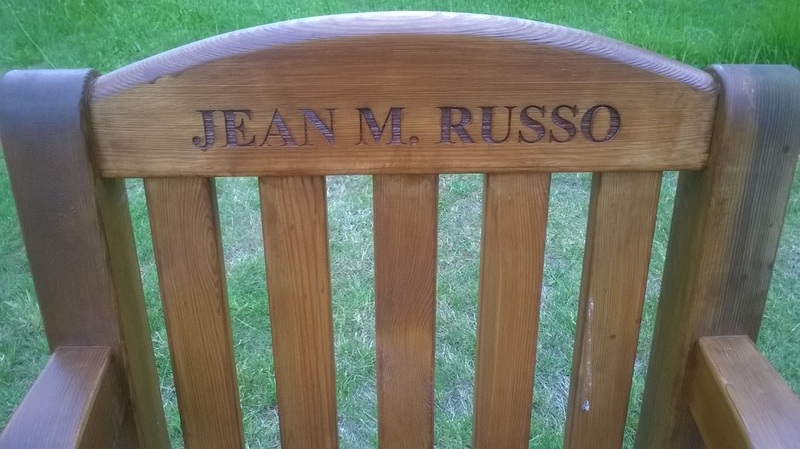 She used to live in Great Bradley but moved to Italy. 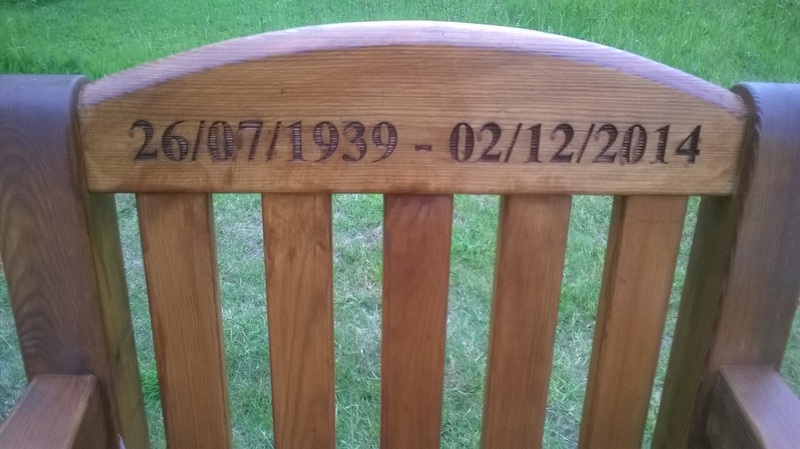 She always loved the village, so after she died in 2014 he husband contacted the parish council to see if a this dedication could be made in her memory.